Over 15000+ Smashed Screen Replaced. Your Local iPhone Repair Specialist is Just next to you. 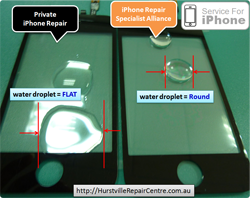 Reliable / Well-known iPhone Screen Replacement Specialist in Sydney. Just CALL 02 8003 5876 NOW. 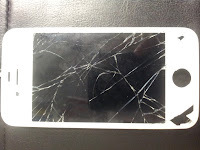 We do replace lots of Broken iPhone Screens Everyday. 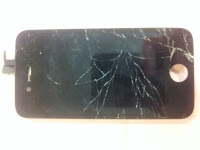 Have you found the similar cracked iPhone Screen below ? 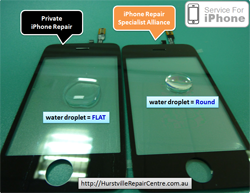 iPhone Repair Hurstville Centre helps you Today. *. 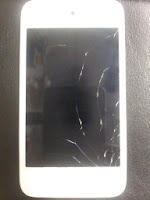 Photo below were taken from Customers' damaged iPhone Screens everyday. A Genuine iPhone Repair Specialist wears Pastel-Green T-shirts with 'Service for iPhone' mark. The Colour of Pastel-Green shows 'Fresh' and 'Genuine'. We, iPhone Specialists do our best to refresh your iPhone as new as before, even further help you to know 'how-to-use' iPhone correctly and carefully. 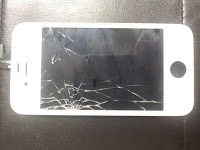 Not like a private iPhone repairer who purchased the cheapest iPhone Parts, we use the top quality parts which give us more confident and offer the best iPhone repair service to customers in Australia. Have Been Replaced On the spot !! 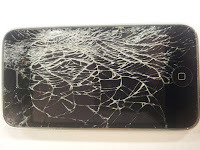 5-Star iPhone Screen Replacement Service. 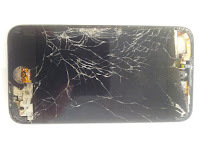 Premium iPhone Screen Replacement Service comes from TOP Quality Parts. 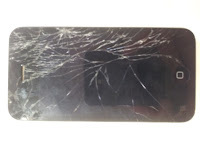 Have You Caught By the Poor iPhone Screen Replacement Service? This might help you understand Why You can be cheated.